It was the coldest night of the winter. At the bottom of the sea an old fish gathered together 12,000 of her children and grandchildren and began to tell them a story. Once upon a time a little black fish lived with its mother in a stream which rose out of the rocky walls of a mountain and flowed through a valley. Their home was behind a black, moss-covered rock, under which both of them slept at night. The little fish longed to see the moonlight in their home just once. From morning till evening, the mother and child swam after each other. Sometimes they joined other fish and rapidly darted in and out of small places. The little fish was an only child, for of the 10,000 eggs which the mother had laid, only this one had survived. For several days the little fish had been deep in thought and said very little, but swam lazily and indifferently back and forth from the near to the far bank. Mostly, the fish lagged behind the mother who thought her child was sick and soon would be well. In face, the black fish’s “sickness” was really something else! “How so?” asked the neighbor. “Oh, what talk!” exclaimed the neighbor. “Let’s not bring up the past,” said the neighbor. “You brought up the subject yourself,” said the little fish. “That one just needs a little box on the ears,” said another. “Don’t get smart, half-pint!” shouted one of the fish from afar. “If you go away and afterwards regret it, we won’t let you come back,” said a second. “These are youthful fancies. Don’t go,” said a third. “What’s wrong with this place?” said a fourth. “There is no other world. The world is right here. Come back!” said a fifth. “If you turn reasonable and come back, then we’ll believe you really are an intelligent fish,” said a sixth. “Wait, we’ve gotten used to having you around . . .” said a seventh. “We call one another tadpole,” replied one of the tadpoles. “We come from nobility,” said another. “You can’t find anyone prettier than us in the whole world,” said another. “We aren’t shapeless and ugly-faced like you,” said another one. “What! Do you think there’s a world other than the pond?” exclaimed the tadpoles. Little Black Fish also started to laugh. The fish thought it would be better to leave the tadpoles to themselves and go away, but then changed its mind and decided to speak to their mother. “Where is your mother?” asked the fish. “Hello, Great Lady,” said the fish. The frog got angry and jumped at Little Black Fish. The fish flipped quickly and fled like lightening, stirring up sediment and worms at the bottom of the pond. “Little fish, why are you so pessimistic and scared?” asked the crab. “Don’t try to trick me!” responded the fish. “If a fish enters the pouch, is there any way of getting out?” asked the fish. The lizard went into the crack in the rock. The black fish had no choice but to set out again. But all the while there were many questions on the fish’s mind. “Is it true that the stream flows to the sea? If only the pelican doesn’t catch me! Is it true the swordfish enjoys killing and eating its own kind? Why is the heron our enemy? The little fish didn’t see the bullet hole, but from the deer’s limping gait knew she was telling the truth. At one place turtles were napping in the sun’s warmth. At another place the boisterous noise of partridges twisted through the valley. The fragrance of mountain grass floated through the air and mixed with the water. “Where do you want to go?” asked the tiny fish. “I’m going to find the end of the stream,” replied the black fish. “This very stream we’re swimming in,” answered the black fish. “We call this a river,” stated the tiny fish. The black fish didn’t say anything. “Don’t you know that the pelican lives along the way?” inquired one of the tiny fish. “Yes, I know,” answered the black fish. “Do you know what a big wide pouch the pelican has?” asked another. “I know that too,” replied the black fish. “In spite of all this, you still want to go?” exclaimed the tiny fish. A village was on the edge of the river. Village women and girls were washing dishes and clothes in the river. The little fish listened to their chatter for a while and watched the children bathing, then set off. The fish went on and on and on, still farther on, until night fell, then lay down under a rock to sleep. The fish woke in the middle of the night and saw the moon shining into the water and lighting up everything. The little black fish liked the moon very much. On nights when the moon shone into the water, the fish longed to creep out from under the moss and speak with her. But Mother would always wake up, pull the fish under the moss, and make it go to sleep again. “That’s impossible,” exclaimed the fish. “It’s a difficult task,” said the moon, “but whatever they want, humans can. . . .” The moon couldn’t finish her sentence. The dark cloud approached and covered her face. The night became dark again, and the black fish was alone. The fish looked at the darkness in surprise and amazement for several seconds, then crept under a rock and fell asleep. “The thought of the pelican just won’t go away,” said another. “You worry too much,” said the black fish. “One shouldn’t worry all the time. Let’s start out and our fears will vanish completely. But as they were about to set out, they felt the water all around them rise up and a lid was placed over them. It was dark everywhere and there was no way to escape. The black fish immediately realized that they had been caught in the pelican’s pouch. “Now he’s going to swallow us all, and then we’ll die,” said another. Several large and tiny fish were scattered on the bottom of the pouch. “Your condition, please, sir!” begged the tiny fish. The tiny fish never had a chance. Quick as lightening they passed through the pelican’s throat and were gone. But, at that very instant, the black fish drew the dagger, split open the wall of the pouch with one blow and fled. The pelican cried out in pain and smashed his head on the water, but he couldn’t follow after the little fish. The black fish went on and on and still farther on until it was noon. The river had passed through the mountains and valleys and now was flowing across a level plain. Several other smaller rivers had joined it from the right and the left, increasing its water greatly. The black fish was enjoying the immensity of the water. Soon the fish realized the water had no bottom. The fish swam this way and that way and didn’t touch anywhere. There was so much water that the little fish got lost in it! No matter how far the fish swam, still the water was endless. Suddenly, the fish noticed a large, long creature charging forward like lightening. There was a two-edged sword in front of its mouth. The little fish thought, “The swordfish! He’s going to cut me to pieces this very instant!” Quickly the fish jumped out of the way and swam to the surface. After a while the fish went under the water again to look for the bottom. On the way the fish met a school of fish–thousands and thousands of fish. “You can join our group anytime you wish,” said one of the fish. “Then what about you?” asked the tiny fish. The black fish stopped talking and began tossing back and forth and tickling the heron’s stomach. The tiny fish was standing ready at the entrance of the heron’s stomach. As soon as the heron opened her mouth and began to laugh, the tiny fish jumped out and fell into the water. But, no matter how long he waited, there wasn’t any sign of the black fish. Suddenly, he saw the heron twist and turn and cry out. Then she began to beat her wings and fell down. She splashed into the water. She beat her wings again, then all movement stopped. But there was no sign of Little Black Fish, and since that time, nothing has been heard. Eleven thousand, nine hundred and ninety-nine little fish said goodnight and went to sleep. The grandmother fell asleep too. But try as she might, a little red fish couldn’t get to sleep. All night long she thought about the sea . . . .
Samad Behrangi was born in the city of Tabriz, Azerbaijan province. He received his early education in Tabriz and graduated from high school in 1957. After that, for eleven years, he taught in the rural districts of Azerbaijan, familiarizing villagers, especially children and youth, to books and libraries. Behrangi’s native tongue was Azeri Turkish and, personally, preferred writing in Azeri over Farsi. He was not, however, allowed to publish in Azeri; he, therefore, made his writings available by translating them into Persian. More than anything, Behrangi was a social critic whose major effort was concentrated on bringing about change in the educational system of the country. This is evident from the themes of his works that contrast the rich and the poor, the village and the town, and the educated and the illiterate. He criticized both the methodology and the contents of the state-sponsored textbooks. He found the methodology to be outdated and the materials inappropriate. “‘Postal service, congratulatory notes, telephone conversation, and sitting at the table,’ although common place concepts in a western society, are alien to Iranian village children,” he said. Rather than spending precious time explaining these concepts, he normally took the pen and replaced words and phrases that were inappropriate for village children. Behrangi believed that children should be confronted with the realities of their own lives. Furthermore, he believed that the system, which had served his generation, must be abolished even at the expense of taking arms against its supporters and promoters. Behrangi wrote for children. 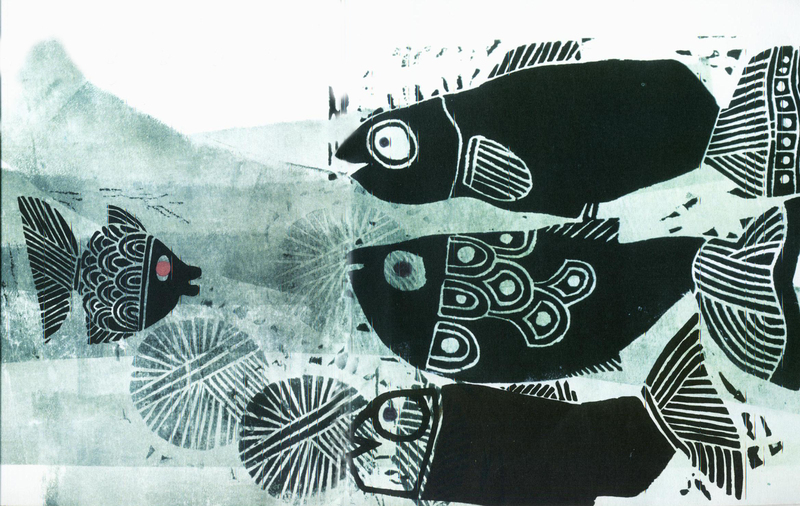 “The Little Black Fish” (1968) is his most well-known work. Two of his other works were published in 1969. They are “One Peach, A Thousand Peaches” and “24 Restless Hours.” Some of his concerns regarding the Iranian system of education are outlined in an essay entitled, “Investigations into the Educational Problems of Iran.” He also published “Tales of Azerbaijan,” in two volumes. The “Tales” were translated from Azeri Turkish into Farsi. 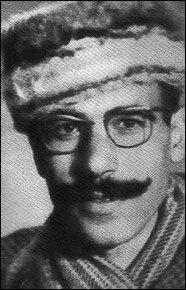 In 1968, Behrangi died in a swimming accident in a river in Azerbaijan, an accident which, generally, is understood to have been an act of the SAVAK (the Shah’s secret police). “an accident which, generally, is understood to have been an act of the SAVAK (the Shah’s secret police). ” ?